“What butchers!” The Milton Keynes Car-buncle moves closer to reality. While the fresh green landscape of Milton Keynes is full of hope and life there is one part of the city centre which is anything but! 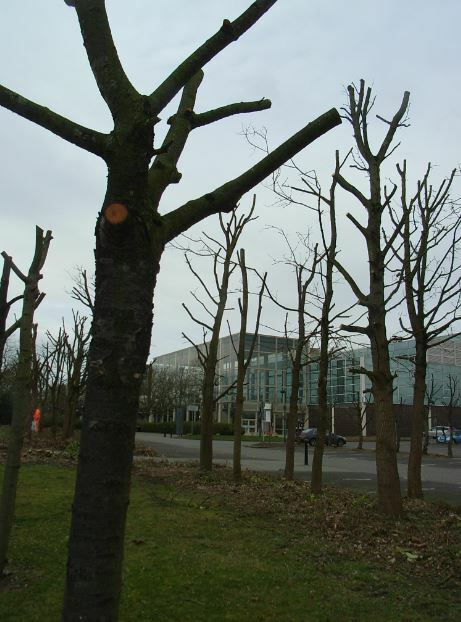 Here, at ‘the John Lewis end’ of the Grade ll-listed Shopping Building, almost all the trees and shrubs have been cut down to make way for a controversial multi-storey car park. The site had been used as a surface-level car park for decades pending suitable new development. Its welcoming trees continued the grid landscape for which CMK is famed. But in 2014 Hermes Asset Management, which owns Shopping Building, applied to build a huge multi-storey car park on the site. With c. 1400 spaces it was more suitable for an airport than the leafy boulevards of Central Milton Keynes. Naturally, we dubbed it ‘The Car-buncle’. Not because we were against development, but because a lifeless multi-storey overlooking Campbell Park was such a tragic waste of space. 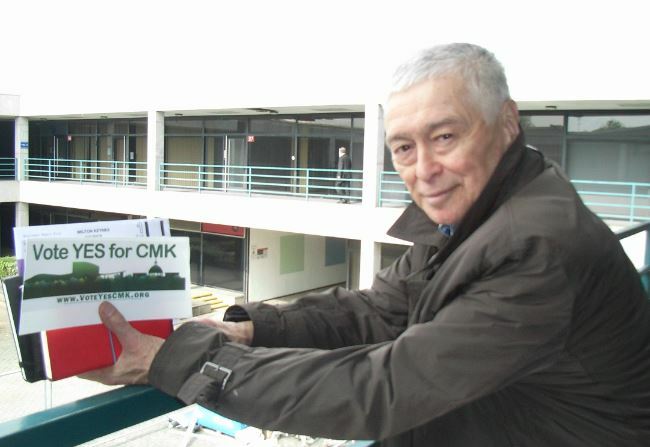 One of MK’s original architects, Ken Baker of CMK Town Council, even worked up alternative designs . These showed how large numbers of new parking spaces could have been neatly tucked away inside a mixed-use development, offering great views over Campbell Park. Today, the tree stumps are an apt symbol of an unimaginative planning department and of corporate myopia. This entry was posted in 20th C architecture under threat, CMK, corporate greed, Destruction of CMK, garden cities, General, Milton Keynes, parking, protecting CMK, trees at risk in Milton Keynes, urban planning and tagged Central Milton Keynes, John Lewis, Milton Keynes, Milton Keynes Development Partnership, MK City of Trees, MK Council, Modernist Milton Keynes, trees at risk in Milton Keynes, Urban Planning in Milton Keynes, wildlife in Milton Keynes on May 8, 2017 by xplain. 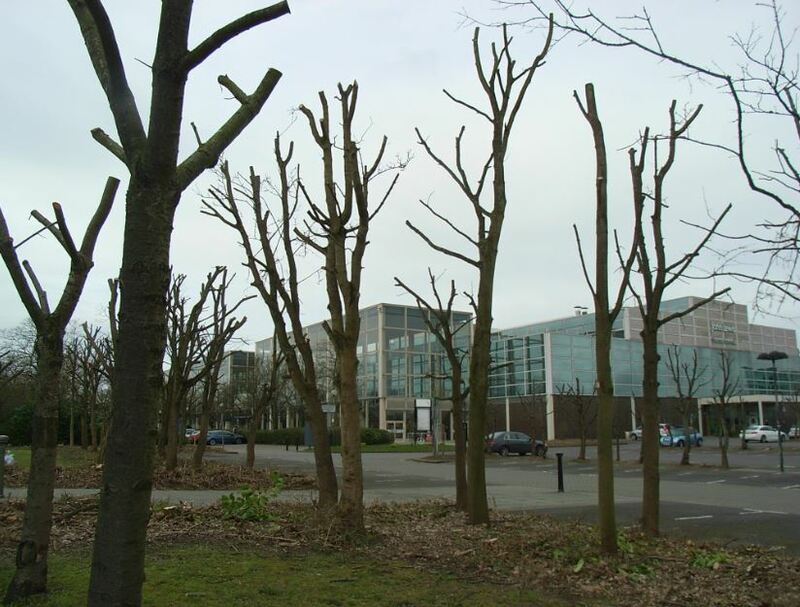 I had not ben past the John Lewis car park for a time & was shocked to see the decimation of the trees, but adding insult to injury, in a nearly empty car park in the middle of the week. Of course just what we need is even more costly parking!